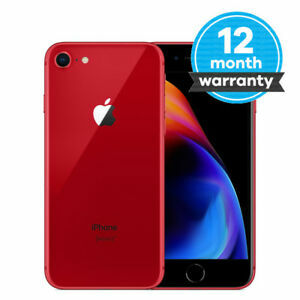 This iPhone 8 (PRODUCT)RED Special Edition is introduced as part of Apple's anti-HIV/AIDS program. It provides superb user experience with iOS for effortless usage. With its entire casing re-engineered, it is water resistant thus protected against spills and splashes, the oleophobic coating keeps off fingermarks. The highly responsive Home button is pressure sensitive with a built-in fingerprint sensor. It works with Taptic Engine for precise tactile feedback as you press. The built-in rechargeable lithium-ion battery provides enough power to last throughout the day, supporting up to 14 hours of talk time or 12 hours on a mobile data connection. The Retina HD display with 1334 x 750-pixel resolution at 326 ppi delivers crisp and sharp images. A 12 MP iSight camera captures your precious moments brighter and more detailed with auto image stabilization and HDR. The phone measures 5.45 x 2.65 x 0.29 inches, weighs 5.22 oz and has a memory capacity of 256GB. This device is compatible with O2, EE, Vodafone, Three Carriers. Immediate payment of £579.99 is required. The design is not very different from the previous models (6,6S,7). It now has a glass back and wireless charging. Otherwise nothing exciting, but it is a reliable and tested system, which is what I wanted. Touch sensor is faster then on 6S. Battery life now sufficient (enough for one day). Phone is not too big and camera is 👍 Does what I need.